Auto dealers across the country have been forced to “discount” their warranty parts. When they are reimbursed, they typically only receive a 40% markup or MSRP. Neither reflects true retail reimbursement rates. Legislation in 45 states (and counting) entitles automotive dealers to be reimbursed by manufacturers for warranty work at retail, which is actually the dealer’s customer “repair” rate. Complex state statutes, manufacturing protocols and pressures, gatekeepers, and limited internal resources are just a few of the challenges that make receiving full retail warranty reimbursement difficult for automotive dealerships. You can receive optimal results for your parts warranty uplift, just outsource the process to Armatus. Hand the entire retail warranty process to us and you won’t have to lift a finger. Plus, there are no upfront fees – we don’t get paid until you do. With multiple dealerships in multiple states, the Dealer needed an assessment to determine its national strategy and uplift opportunity based on State and manufacturer. After extensive research and analysis, Armatus recommended a market approach for optimizing results. Action: Dealer requested warranty mark-up increase protocol from the manufacturer. Manufacturer ignored multiple requests. Dealer turned over project to our group. Submitted declaration based on established “fair and reasonable” protocol thus forcing statutory response from manufacturer. “Reverse-engineered” manufacturer protocol from response and resubmitted to manufacturer. Action: Dealer performed their own internal analysis and submission resulting in a 64% mark-up, which they were satisfied with. Dealer principal was referred to our group by another dealer client. Our subsequent analysis revealed an additional opportunity for increased profit. Submitted and received manufacturer approval. Action: Dealer performed their own internal analysis for submission to manufacturer and was rejected – TWICE. Dealer principal was referred to our group by another dealer client. Performed analysis and submitted increase declaration on behalf of dealer. Received manufacturer approval. Based on your dealership’s Financial Statement, we will project an expected warranty reimbursement rate based on your numbers, normalized by utilizing our extensive database. Once you review the projection and decide you’d like to proceed, just send us a signed Submission Authorization Agreement and we will get your stores started on the road to full warranty reimbursement. With your approval for limited data access, Armatus’ expert technology team will extract your data in order to begin the warranty uplift submission process. We will put our proprietary software and data management methods to work to pinpoint the best possible mark-up. Then, we initiate our detailed warranty audit, annotate where appropriate, apply discounts and finally, configure your submission package according to factory and state guidelines. If you do not receive the expected result from your warranty parts markup submission, we will assist with an appropriate response. Our industry experience, knowledge, and relationships can help navigate such matters. Upon factory approval you can modify the mark-up in your DMS and immediately and permanently reap the benefits of your additional warranty parts profits. Considering Doing Retail Warranty Reimbursement Yourself? Many statutes governing retail warranty reimbursement are vague, intricate, subject to interpretation, and vary significantly from state to state. Armatus has expertise in each states’ warranty reimbursement law. In fact, we have consulted on 10 of the most recently passed statutes. With massive amounts of data, limited human resources, and lack of technology, optimizing your warranty parts markup is difficult. Armatus has the industry’s only true proprietary optimization software, which guarantees optimal uplift results. Identifying and obtaining the proper data, including thousands of invoices, for a submission is a burdensome process. Once you have that data, it needs to be processed scientifically to ensure a successful retail warranty reimbursement rate. Armatus has perfected data and electronic invoice acquisition. Other than providing access to your system, you won’t have to lift a finger. How you submit to manufacturers can affect how they respond. There are specific protocols for “qualifying” or “allowable” parts and nuances in the submission process, such as varying format requirements, customer discount applications, and shifting rules. All these factors play a role in how a manufacturer will respond. Armatus is known as “central intelligence” when it comes to understanding manufacturer behaviors related to retail warranty reimbursement submissions. We can give you insights you won’t get anywhere else. Your people are busy getting business in the door and taking care of customers, they likely don’t have time to gather data and submit to manufacturers. It takes valuable time from their main job — generating revenue. Warranty reimbursement submission is a very complex process and you need significant resources to achieve full reimbursement. With Armatus’ knowledge of the laws, manufacturer behavior, our proprietary software, and our extensive audit staff, you can expect timely and lucrative results when you hand over the keys to Armatus. - Steve J. Zaun, General Manager, Puklich Chevrolet Inc.
Do you also do Warranty Labor Rate submissions? Yes we do. In addition to performing “standard” manufacturer labor submissions, we also perform statutory submissions, depending on which one yields the best result. Clients who engage us to do a parts submission, enjoy the added benefit of having their Customer Pay Labor audited to determine if they’re in a position to submit for a warranty labor increase. It’s not unusual for the labor uplift to equal or exceed the warranty parts uplift. Of course, this is a completely separate submission, and would be subject to an additional agreement. 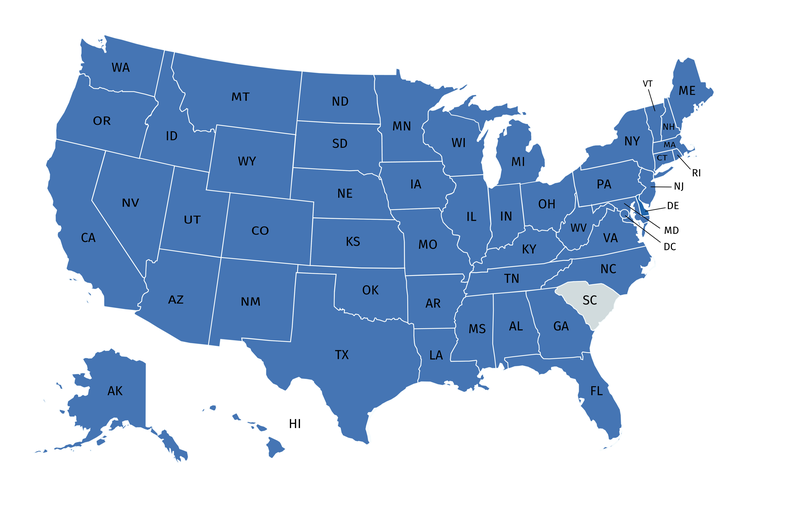 Bear in mind, we can perform manufacturer labor submissions in all 50 states, so even if you can’t obtain retail for parts, you can still take advantage of our professional services and optimization to perform your “standard” labor submission. Isn’t MSRP the same as Retail Pricing? MSRP is possibly one of the most misunderstood terms in the auto industry. It is sometimes used interchangeably with “retail”, which most dealers consider to be a 67% mark-up. However, a careful study of the few manufacturers that reimburse warranty parts at factory MSRP will reveal that the true, or “effective” mark-up, is usually between 50% and 55%, depending on work mix. The “retail” that dealers are entitled to under favorable state statutes is the amount that their customers pay them for warranty-like work. “Customer Pay Retail” optimized for Armatus clients is usually a mark-up in the 75% to 85% range; far greater and more equitable than the standard 40% markup paid by the vast majority of factories, or MSRP mark-ups granted by a few manufacturers. How have the Manufacturers reacted? That depends on what manufacturer, and in what state. While factory behavior is certainly a valid issue for every dealer, in recent years, the prevalence of updated statutes and increased number of dealer requests has lessened the level of concern considerably. Our experience is that manufacturers fall into three categories: those that follow the letter and spirit of the law; those that challenge retail submissions, but ultimately pay; and those that simply refuse to pay retail. By and large, most manufacturers now handle submissions professionally and without conflict. In over 4,300 submissions we have not seen any sign of retribution, regardless of what category the manufacturer falls into. Top industry attorneys agree that retribution in this arena is largely a myth. A dealer choosing to do this in-house would have to read and interpret the law, understand the manufacturer’s protocols, compile the submission, and deal with the manufacturer’s response. Assuming the dealer’s personnel are up to all of that, and execute a perfect submission – on their first effort – they may be ready to submit in about sixty days. Approval of the retail rate in most states must occur within thirty days (some states are 60 days) for a realistic total of ninety days. Barring data access issues, Armatus would typically have the process completed in about half that time – usually forty-five days. Time is money; for the average store, this time savings would mean an additional profit of $12,000. And of course, there would be the additional profit left on the table that could have been derived from Armatus’ optimization process. Does my state have a favorable statute? Although there are 45 states with strong or favorable statutes, no two are identical. To complicate the matter, a given manufacturer may approve submissions in certain states requiring retail, but not in others. The manufacturers behaviors are constantly in flux, and it would be best to consult a professional, rather than just looking at your state law for a retail reimbursement requirement. Since we are constantly engaged in the process of submitting to all manufacturers across the country, we can give you an answer on the spot. You know, that’s the number one question we get asked. The answer is an emphatic no! As incredible as the opportunity might sound, these benefits are being enjoyed and taken advantage of day in and day out by dealers all over the country. We’ve built the road map for you so you barely have to lift a finger, and you can achieve the best possible mark-up available. And… you can be submitted and approved faster than any other method. Our clients are constantly amazed at how easily and efficiently they can begin to enjoy their new found profits, and unlike other initiatives, there’s no need to make any investments in brick and mortar, inventory, advertising or personnel. Care to share how you heard about us? Care to further share how you heard about us? Microsoft has officially dropped support for Internet Explorer 8 and lower. In order to keep our website lean and free of hacked code just to accomodated outdated browsers, we are no longer supporting IE 8 and lower. Please upgrade your browser today to greatly improve your experience of this website, and of the whole web!